Seriously, these guys were just meant to be! 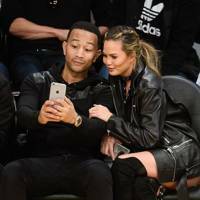 Chrissy Teigen and John Legend met in a very Hollywood-esque way. It was 2007 and John was filming the music video for his hit "Stereo", co-staring as his love-interest (in very little clothing) was... Chrissy! On an interview with Cosmopolitan US Chrissy admitted that they hooked up that same night, but she always gave him space and never pressured him into having a relationship, after that their love story just unfolded naturally. 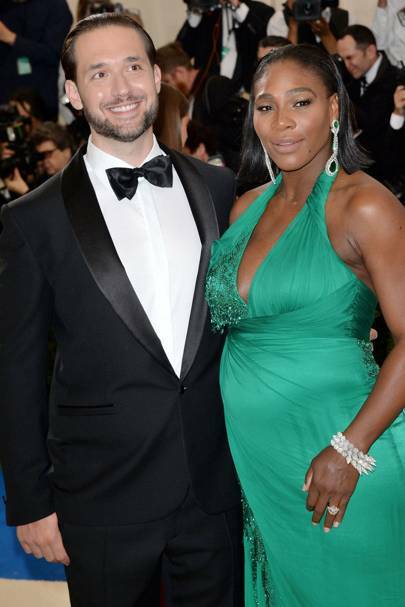 Earlier this year Serena Williams announced that she and her fiancé, Reddit's co-founder Alexis Ohanian, are expecting their first baby. But do you know how the met? After Alexis proposed to Serena in the end of 2016, she took to to share the news with fans, which included the fun fact about how the couple actually met. Turns out they were both in Rome for an event and were sat at the same table, all by coincidence - our may we say faith?! - one year later and Alexis popped the question on the exact same spot they first laid eyes on each other. Coincidentally, this so-beautiful-it makes-you-wanna-weep couple met on a 'blind' date set up by a mutual friend, who Tom revealed: “he told me he knew a girl version of me". While Gisele adds: “And he said to me he'd found a boy version of me!" 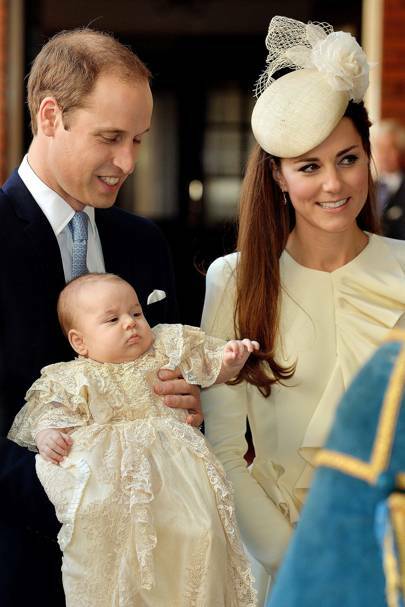 The mutual pal was obviously spot on – as the pair have been married eight years and have two children. Ryan met Blake on the set of superhero flick The Green Lantern the same year he split from ex-wife Scarlett Johansson. We can only speculate that it was the green lycra that sealed the deal for this rather gorgeous duo – as the two are notoriously tight-lipped about their relationship - but fall in love, they did, and he of heavenly bod and she of heavenly wardrobe wed in 2012. 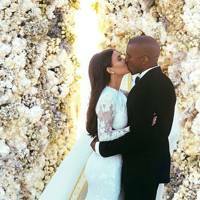 In the words of JT himself, this couple’s love story began in a “very un-Hollywood-esque” way. The pair met through mutual pals. “There was nothing starry about the way we got together... I did it the old fashioned way — by telephone. That’s something I learned from both my stepdad and my grandfather — that there is a thing called chivalry and it doesn’t have to die with the birth of the Internet,” he said. “The way I see it, if you’re asking a girl out on a date, it’s only right to do it in a way that she can hear your voice. I had to be pretty persistent in order to get her to say yes. But, if I want something I stick to it. And in the end she agreed.” Gentlemen, pay attention! The circus that is Kimye began way back in 2006, when Kanye said he saw a photo of Kim flaunting her pins in a pic with then-best friend Paris Hilton. The pair then continually ran into each other for years at celeb bashes, with Kanye’s crush only intensifying. 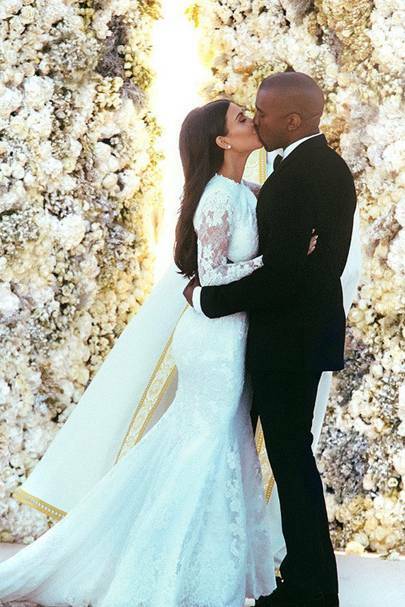 “I just dreamed about being next to her,” he has since confessed, also admitting that he would draw himself in next to Kim on the Kardashian family Christmas card! Wow. The couple eventually hooked up in early 2012 and now are married, with two children. The A-list couple met when they both featured on the cover of Vanity Fair’s 2001 Music Issue, when Queen Bey was only 19. Jay said of the early encounters: “You’ve got to try first. You got to dazzle... wine and dine,” before adding “She was a good girl ’til she knew me.” Saucy. 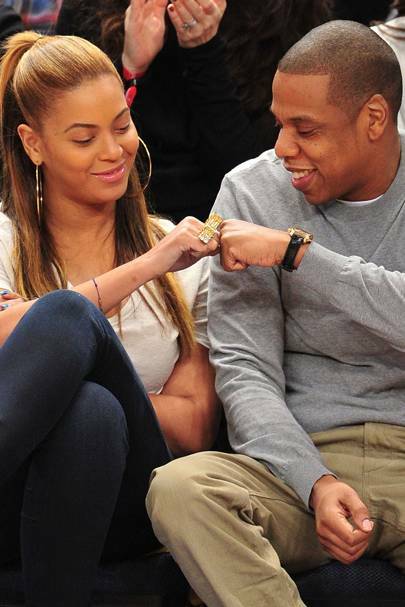 The pair met on Saturday Night Live in 2011, but it wasn't until six months later that they went on their first date. Olivia revealed: "Over the next six months we kept running into each other. [One night], my best guy friend walked up to him and said, 'This is Olivia's number. Use it.' That was the beginning". 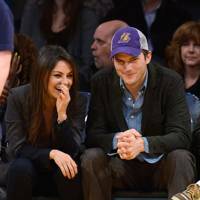 Like a love story from, say, a retro Stateside sitcom, Mila shared her actual real-life first kiss with Ashton in 1998 – fast-forward 16 years and the pair are married with a baby. "I was like, 'Oh, he's so cute, it's the Calvin Klein model! 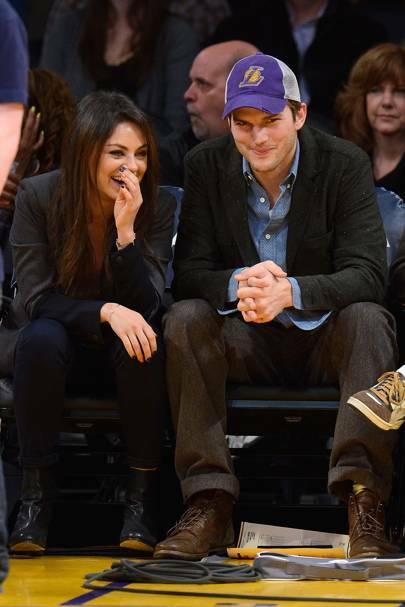 '” Mila revealed at the time, “I was so nervous and uncomfortable. I had the biggest crush on him". After seeing Victoria on TV in a Spice Girls music vid, David said to a pal: “See the girl in the dark short dress? I’m going to marry her". While in a letter to her former self penned in British Vogue, Victoria described their first meet from her point of view. "Love at first sight does exist. It will happen to you in the Manchester United players' lounge - although you will get a little drunk, so exact details are hazy." She continued: "While the other football players stand at the bar drinking with their mates, you will see David standing aside with his family. (He's not even in the first team at this stage - you are the famous one.) And he has such a cute smile. You, too, are close to your family, and you will think how similar he feels to you. He's going to ask for your number. (He still has the London-to-Manchester plane ticket on which you wrote it.)" - David then went home and wrote the number on loads of other things in case he lost it, apparently. Dying RN. 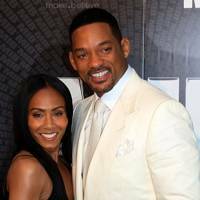 Jada was actually introduced to Will as a teen. 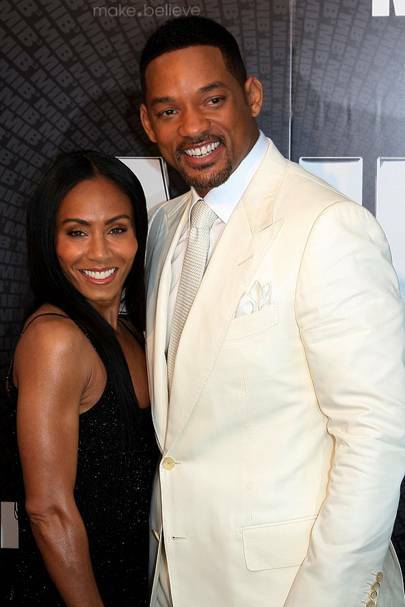 "I met him when I was 19 at an audition for The Fresh Prince of Bel-Air" she revealed. "After we had known each other for many years, we went out for dinner one night [with mutual friends] and I saw that he had grown from this lanky kid to this really responsible man. We started courting each other and our friendship turned into romance". Awwww. 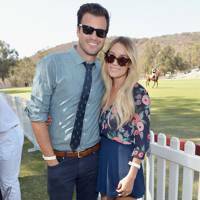 “I met my husband when I was 16 and sitting on stage at one of his concerts," Lauren Conrad revealed about her first encounter with her husband. "Ten years later we were set up on a blind date". Interestingly, Lauren's guy is no longer in the music biz (he was in a band called Something Corporate) - he quit to do a law degree, and now works in Entertainment Law. That's fate, dontcha think? 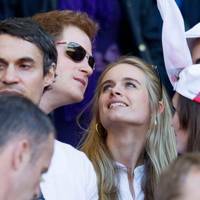 He of demigod bod met his Spanish wife in the summer of 2010, through their mutual agent. It’s rumoured that he Googled her before meeting her. Google obviously generated some impressive results, as the pair married that same year and are now parents to daughter, India Rose and more recently, twin boys. 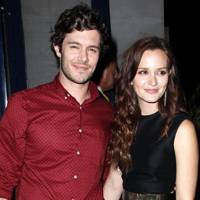 A match made in teen TV heaven, Seth Cohen and Blair Waldorf may have both became household names courtesy of Josh Scwartz creations, but Adam and Leighton’s paths didn’t cross until they starred together in indie flick The Oranges in 2011. 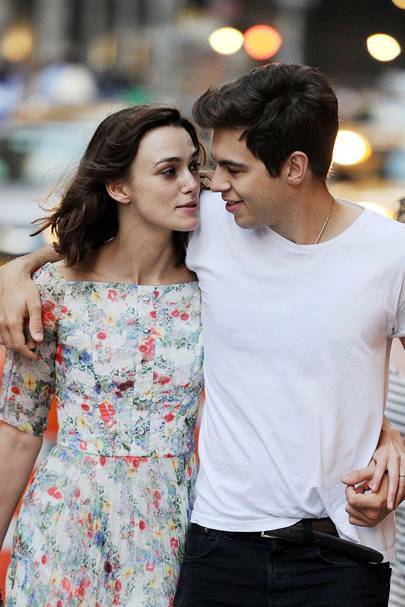 Nevertheless, love didn’t blossom for this beautiful pairing until they filmed rom-com Life Partners in 2013. 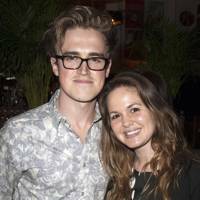 They dated for ten months before a hush-hush wedding in 2014. Actor Josh had a dream about the Black Eyed Peas beauty before he met her… and then, in his own words, stalked her! “That’s how I got my wife. I literally stalked her for weeks until she said yes. They say it’s not stalking if she says yes.” He added “I’m not a huge believer in love at first sight, but I think that when it is right, often it’s somebody that you had that feeling about when you first met them". “My husband and I met in a house fire basically. Well, we did." Indeed, Winslet and the Virgin Galactic executive – nephew of Sir Richard Branson, no less – first laid eyes on each other back in August 2011. They were among the 20 people who escaped unharmed from a devastating fire that destroyed Branson's luxury home on Necker Island. "The house burned down and we survived. But we wanted something of the fire…” And so Winslet and her interestingly-monikered hubby gave their son Bear the middle name of… Blaze. What else? 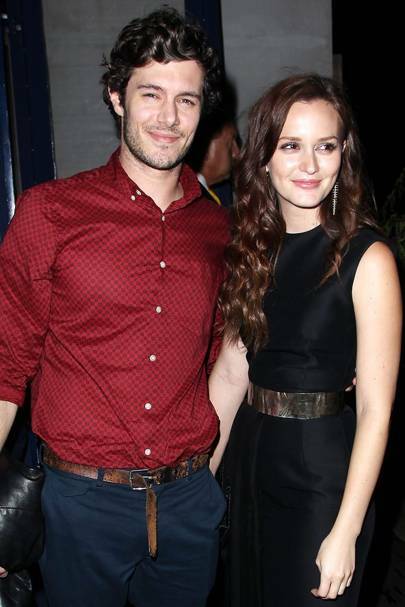 The pair are expecting their second child. The pair have now split, but we're hoping for a reconciliation. 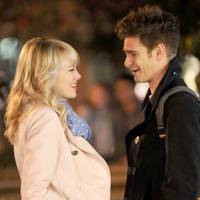 This adorable duo’s eyes first met as Emma screen-tested for the role of Gwen Stacey in The Amazing Spider-Man. 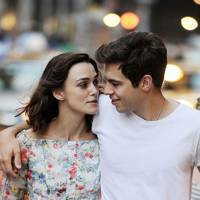 Andrew said: “It was like I woke up when she came in… She was the last person to screen-test, and I was so bored of it by then... And then she came in, and it was like diving into white-water rapids and having no desire to hang on to the side. Throughout shooting, it was wild and exciting. I couldn't help but try to stay with her, keep pace with her and not let her get away. [Laughs.] Like an animal preying on a smaller animal, but a wily smaller animal." Which is both sweet and, well, filthy at the same time. The duo broke our hearts when they called it quits. 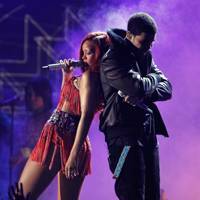 Even more swoonsome, at the 2016 VMAs, Drake told the audience: "She's someone I've been in love with since I was 22 years old". Unfortunately, this power couple fling didn't last long. 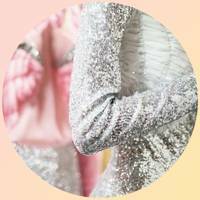 The Hollywood party girl and the model-of-the-moment met through mutual friends. Michelle recently enthused: "It's going really well. She's so cool. When we started hanging out I just thought she was awesome, and we have the best time together. She's hard though. You wouldn't want to mess with her in a fight!" Sadly it wasn't meant to be though! "I met him at a party, my friends brought me up to him,” Britters confessed of her lawyer beau, adding that their attraction was “instant,” before revealing that her father ran a background check on him: "My dad's a little crazy like that". We bet David couldn’t wait to meet Daddy Spears. The couple are no longer together. “I don’t know if you remember but at the start we had a Twitter feud. So we never really liked each other in the beginning,” Rita recalled. Indeed. There was a lot of expletive-laden to-ing and fro-ing after Rita claimed that Cheryl Cole's hit Call My Name, which was written and produced by Calvin, was offered to her first but she turned it down. “Then after that, it just kind of happened really. It was backstage at a thing when we first met and it went from there". They're not together anymore, but they did start following each other on Instagram fairly recently. 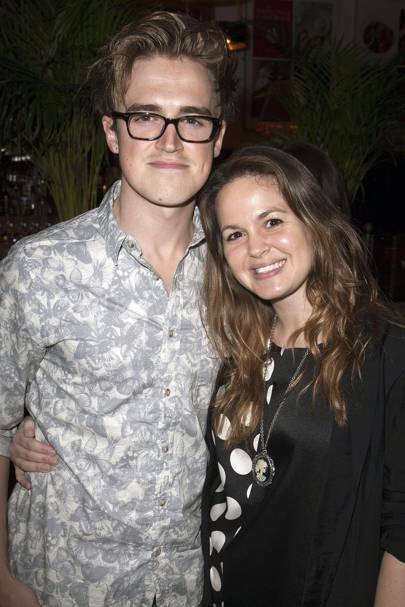 This pair famously met on the set of The X Factor in 2011. It was all very 21st century, with love blossoming over Twitter. Prior to Little Mix’s big win, Zayn posted: “So lil mix smashed it tonight, gta vote for these girls man! x”. The press reported several steamy backstage encounters in the coming months, which Perrie denied before Zayn posted this rather telling Tweet: “@PerrieLittleMix yeah tonight was fun lets do it again sometime ;) x x”. The pair went their separate ways in 2015. Twinkle-toed Jamie first met Evan in 2005 when they both starred in Green Day's music vid for Wake Me Up When September Ends. Love and mutual tattooing followed, but they sadly split in 2006. Evan was even engaged to scary rocker Marilyn Manson during the hiatus but, they rekindled their romance in 2011, wed in 2012 and welcomed their son in 2013. They split however a year later. Long-term friends Sean and Charlize didn’t get it together until in 2014. 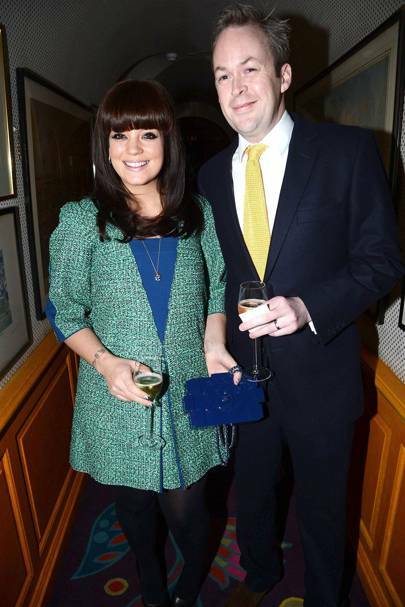 Somewhat bizarrely, it was Piers Morgan who revealed their relationship – in his gossip column. "I walked over to Sean's table, where he was sitting with new girlfriend Charlize Theron," Morgan wrote. "'I'm so glad you two have got together,' I said, 'Sean's a great guy.'" Sean’s response: “She’s a keeper, that’s for sure… well, I’ll do my best to keep her anyway!” Unfortunately he didn't and they split in 2015. A rather racy Heidi says: “I know a lot of people talk about Seal's bicycle shorts, but it is the truth! That is what he was wearing the first time I met him and I was overwhelmed. We went somewhere very nice for dinner — it was very good but I can't tell you exactly what we did. It would be too naughty and you can’t run it anyway. It would just be bloop bleep bloop bloop bleep. But it was a very good first date.” Blimey. Seal recalls of the first time he saw Heidi: "I remember thinking, 'Wow, whoever goes out with that girl is one lucky guy?'" Awww. 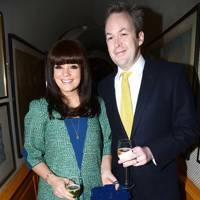 The pair divorced in 2012 but are still friends. He was the tattooed, self-proclaimed British Eminem. She was the society girl and Quality Street heir. To say their union was surprising would be an understatement, but love sure blossomed. Pro Green said it was his "publicist and agony aunt" Phoebe that set them up with a phone call, after he saw Millie on the cover of FHM. They then had an "awkward chat" for 45 minutes, with Millie "trying frantically to pause [my song] Just Be Good to Green on YouTube" whilst she was on the phone. Millie also revealed that during their initial chat "I'd been watching Frozen Planet, and he seemed to know a lot of facts about polar bears, which I loved.” The pair are now divorced, and Millie is back with her ex-boyfriend, Hugo. This couple first met in May 2012 when Princess Eugenie, Harry’s cousin and a good friend of Cressida, introduced them at a festival – when she was a graduate and he was a young soldier on his way to active service in Afghanistan. Golly, it’s like something from modern-day Mills and Boon. Alas! It wasn't meant to be, and the pair have now split. Although this couple are notoriously tight-lipped when it comes to their relationship, it's rumoured that the pair bonded over ink. According to Hollywood spies, they met through tattoo artist Fuzi Uvtpk, a mutual pal. The French tattoo artist inked a horseshoe and the message 'Lucky You' on Scarlett's ribcage in November, while Romain was believed to have gotten a similar design that reads 'Lost Illusions'. Sweet. They have one child together but separated early this year. Brangelina famously met on the set of Mr and Mrs Smith in 2004 – while Brad was still married to Jennifer Aniston. Ouch. "Brad was a huge surprise to me," Angelina said. "I think we were the last two people who were looking for a relationship. I certainly wasn't… I think a few months in I realized, 'God, I can't wait to get to work.' And it took until, really, the end of the shoot for us, I think, to realize that it might mean something more than we'd earlier allowed ourselves to believe". After over a decade as a couple and raising six children together, the couple shook the world with their unexpected divorce. Suki said: “I met Bradley in London last year. We were introduced and hit it off almost immediately. We were dancing at an after-party and he asked me if I fancied going to a club. We went to Cirque Le Soir in London – and he's a ridiculously good dancer, yes." Despite Suki admitting he was “the one”, the pair split up in 2015. One of our favourite couples in Celebdom, J-Law and Nick struck up a friendship on the set of superhero prequel X-Men: First Class before getting together in 2011, with the debonair Brit boy revealing: “When you’re on set together it’s a brilliant thing, because you actually get to spend time together.” They finally split in 2014 but remain close friends.